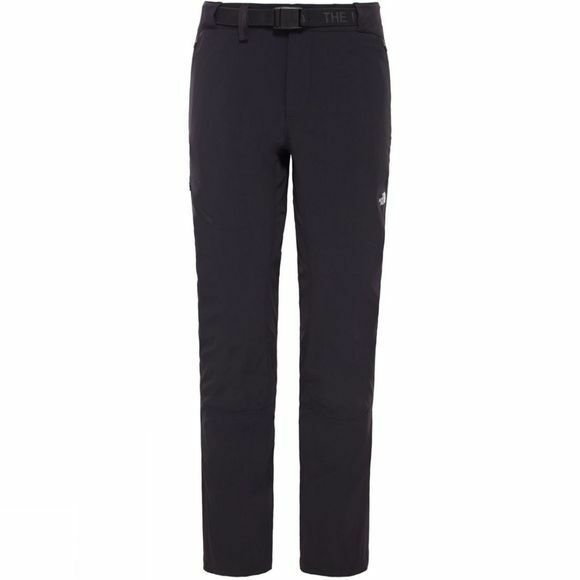 Built to withstand tough and demanding days hiking and scrambling, The North Face Women's Speedlight Pants will keep you and your legs protected from ever challenging conditions. They feature 3 zipped pockets aswell as wind and water resistant protection, thanks to the DWR coating. Their stretch fabric and articulated knees allows for perfect freedom of movement, whilst the close fit eliminates the flapping of material in windy conditions. Perfect for travel too, they're lightweight as they packing down small, creating more space for shorts, shoes and other travel essentials.